Newly renovated hotel in the Dolomites with various saunas, a fitness room, a garden with playground & culinary delicacies – ideal for activity lovers & families. 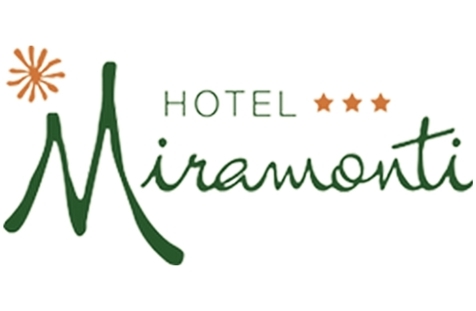 Welcome to Hotel Miramonti*** in Alta Badia! 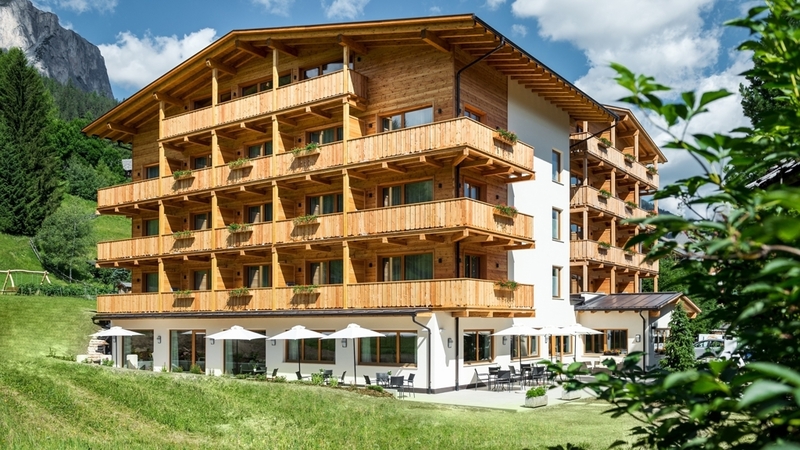 Our family-run Hotel Miramonti*** in Alta Badia is situated in the heart of the Dolomites and has been recently refurbished. The hotel is a good starting point for active winter or summer holidays in the South Tyrolean mountains. For our guests, we offer modern rooms with balcony, a bathroom with bathtub or shower, bidet, WC and hairdryer, satellite TV, WLAN and safe. In part, they dispose of a living room or a living area. Moreover, our spacious family room offers two separate bedrooms. Relax in our wellness oasis with Finnish sauna, bio sauna, steam bath, infrared cabin, vital bar and relaxation room with wonderful view. As well, Hotel Miramonti offers a small fitness room with different devices and a playroom for kids. In summer, our garden offers a sunbathing lawn, a playground, trampoline, table tennis and open-air chess. We daily pamper you with a rich breakfast buffet with homemade cakes. At dinner, you enjoy menus of your choice as well as an antipasti and salad buffet. Alta Badia is a paradise for active holidays all over the year. In summer, you can discover the beauty of the unique Dolomites at guided hikes and bike tours. In our hotel, we offer a bike room and a bike rental directly at the hotel. In winter, a free ski shuttle takes you to the perfectly prepared slopes of Alta Badia skiing area within a few minutes. In the environs, you can also find countless ski tours, snowshoe hikes, toboggan runs and much more. Piz La Villa view, double room, 25 m², completely renovated, bathroom with shower, bidet, hairdryer, telephone, SAT-TV, internet connection, safe and south balcony. Sas dla Crusc view, 34 m², double room with lounge area or triple/quadruple, completely renovated, bathroom with shower or bath, bidet, hairdryer, telephone, Sat-TV, internet connection, safe and balcony. Gardenaccia view, two-bedrooms, completely renovated, bathroom with shower, bidet, hairdryer, telephone, sat-TV, safe, internet connection and balcony. Piz La Villa view, double room with sofa-corner, 29 m², completely renovated, bathroom with shower, bidet, hairdryer, telephone, SAT-TV, internet connection, safe and south balcony. Piz La Villal/La Varella/Sas dla Crusc view, 38 m², double room with spacious lounge area, or triple/quadruple room, completely renovated, bathroom with shower and bath, bidet, hairdryer, telephone, Sat-TV, internet connection, safe and south balcony. Vegetarian food , Home made products, Gratis Skibus, Deckchair, Ski depot outside the house, Pets allowed, laundry service, Snow boot dryer, Barbecue facilities, above 1000 m a.s.l.